We are always excited to talk about Pipe-Light, Inc. The Pipe-Light trailer light products are the result of 25 years of industrial electrical experience. We always strive to make any product, job or any experience as simple and pleasurable as possible. Pipe-Light is also the result of garnering knowledge from our many years of fishing and boating. The problems we solve with Pipe-Light boat trailer lights are many. Boat trailer owners know that traditional trailer lights don’t last! Every spring they would start out the same way, buying a new pair of lights. Then by the middle of summer one would be burned out, the fuse would blow or sometimes even the bulb socket would rust out. Raising the trailer lights to the boat trailer guide posts simply keeps your lights from being submerged saving you maintenance time and money. Boat owners also know that backing their trailer down the dock or into the garage are the most anxious moments of boat ownership. With Pipe-Light, the driver knows exactly where the trailer is every moment. Installing the raised flights on the trailer guide posts gives the driver the visibility needed to assure that launching, loading and parking are all easier tasks performed with increased safety. Pipe-Light trailer lights also give you more trailer visibility when you are navigating those narrow windy roads that often lead in and out of your favorite boating spot. At Pipe-Light, we know that our easy to install trailer lights will save you the expense and hassle of buying replacement sets of lights in season. 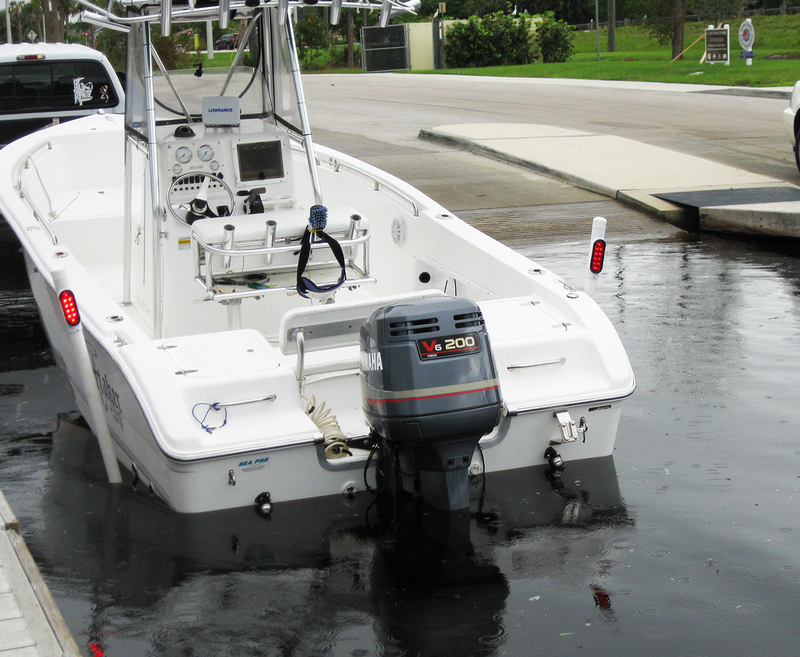 We also know from our reviews that you will appreciate the added visibility and safety giving you more confidence when backing your boat trailer down the ramp, into a tricky parking spot of even navigating narrow winding roads. Pipe-Light trailer lights are now available nationwide through a network of the best marine and trailer supply firms in the US. Please check out our Pipe-Light Distributors page and find the Pipe-Light solution best for your trailer.